Purpose: This article explores different strands of educational discourse about sexual diversity in Portuguese schools, from the students’ perspectives. Method: The methodological approach consisted in conducting focus groups discussions: 36 with 232 young students (H = 106, M = 126) in 12 public secondary schools. Findings: Students reveal a polyphony of discourses that gravitate between liberal acceptance, conditional acceptance and intolerance. 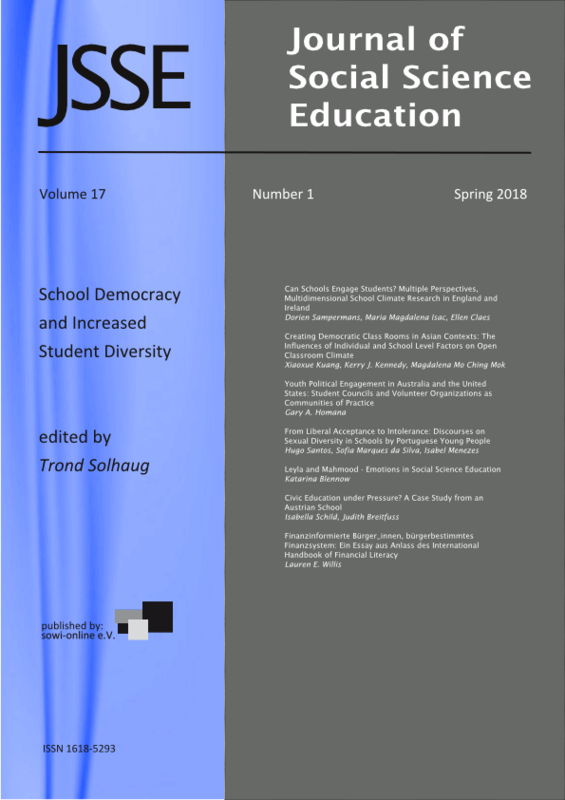 Research implications: Attention is drawn not only to discriminatory processes that question school as a democratic place for LGBT youth, but also to the gap between what is legally decreed and a lack of know-how in the approach to sexual diversity in school. He is supported by the Portuguese Foundation for Science and Tecnhology (PD/BD/52467/2014).